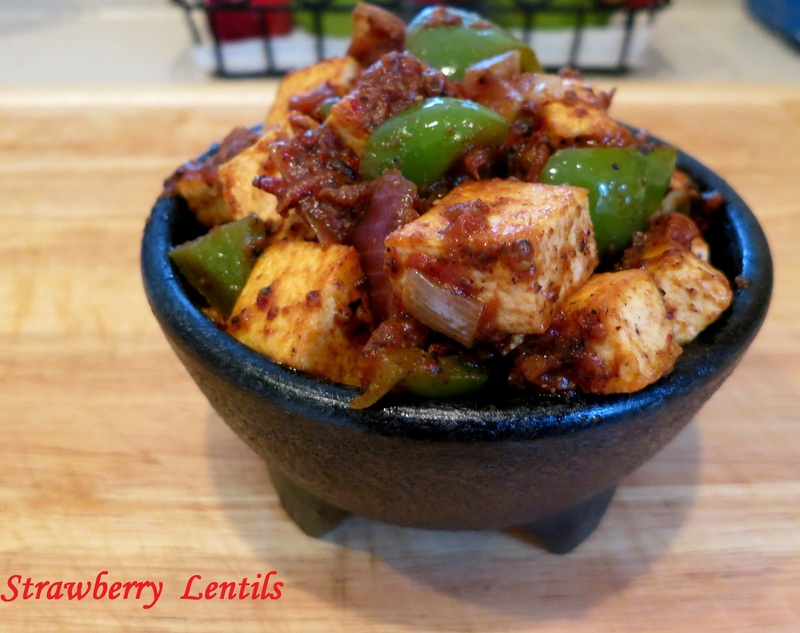 Kadai chicken/ Kadai Paneer is one of the Punjabi Dhaba recipes, which is basically a quick and rustic stir fry. 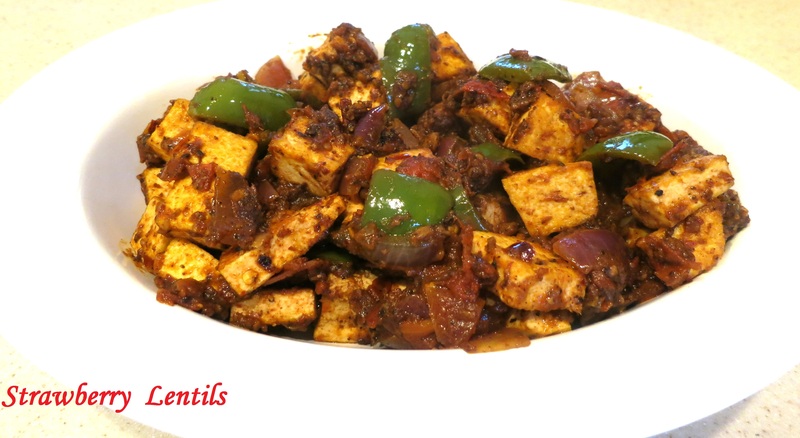 Quick is a tricky word here, if you have the kadai masala (dry spice blend) and the tomato gravy ready , then it is really quick to stir-fry. If you are making everything from scratch like I did today, it does take a little bit of time. But its worth, not just the taste but the aroma that fills the house. “Kadai” is the Indian wok. 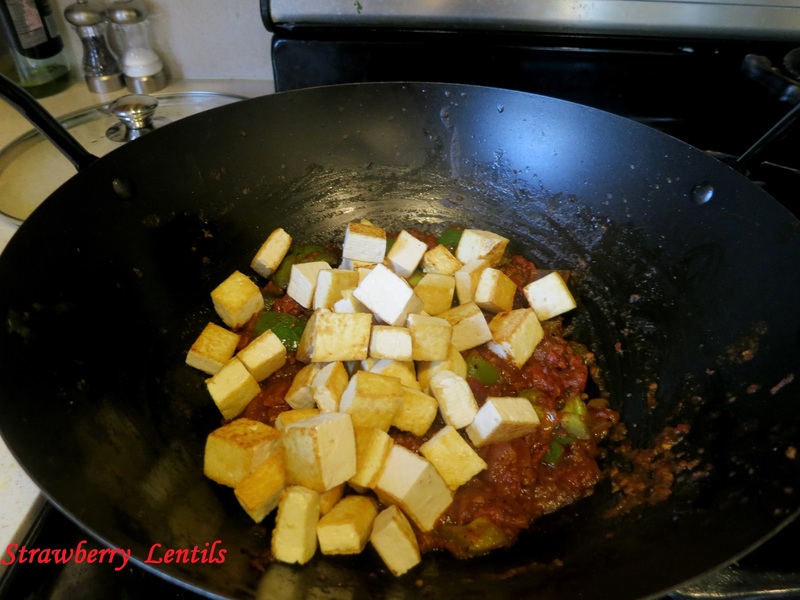 I am using Tofu today , the curry base is the same whether it is Kadai Paneer or Kadai chicken. First lets make the kadai masala. Its a blend of the dry spices. 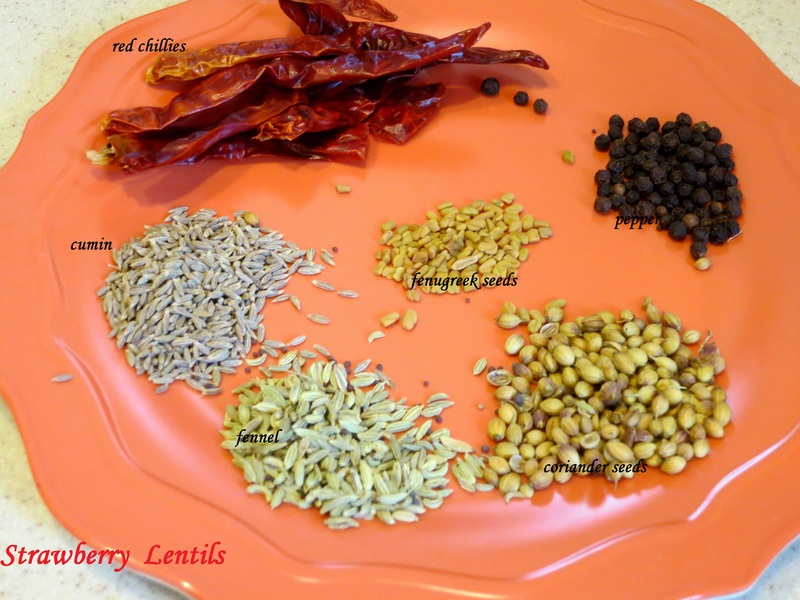 Traditionally ‘Kasoori methi’ (dried fenugreek leaves) are used. I do not have it, so I replaced it with fenugreek seeds. Heat a wok and dry roast the spices, add the fenugreek at the very end as roasting them too much can give a bitter taste. Grind them to a coarse powder. Next step is to make the tomato gravy. Grind a few garlic cloves with a pinch of salt to a thick paste. 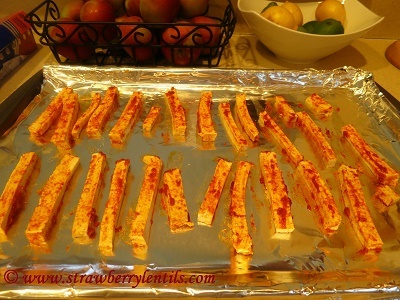 You can use tomato paste. But I prefer using fresh tomatoes. Dice about 3-4 big tomatoes. 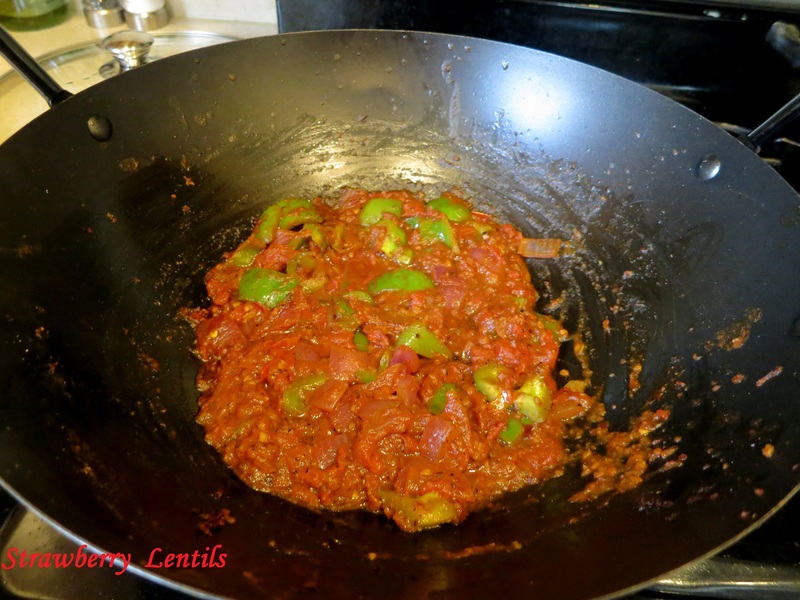 Heat up 2tbsp of oil in the wok (you can use butter/ghee or a mix of ghee and oil) and fry the garlic paste. Take your time and cook until the raw smell is completely gone. And then add 1 tbsp of the kadai masala (dry spice blend) to the oil and fry for a few seconds. The rest of the kadai masala will be used at the end. 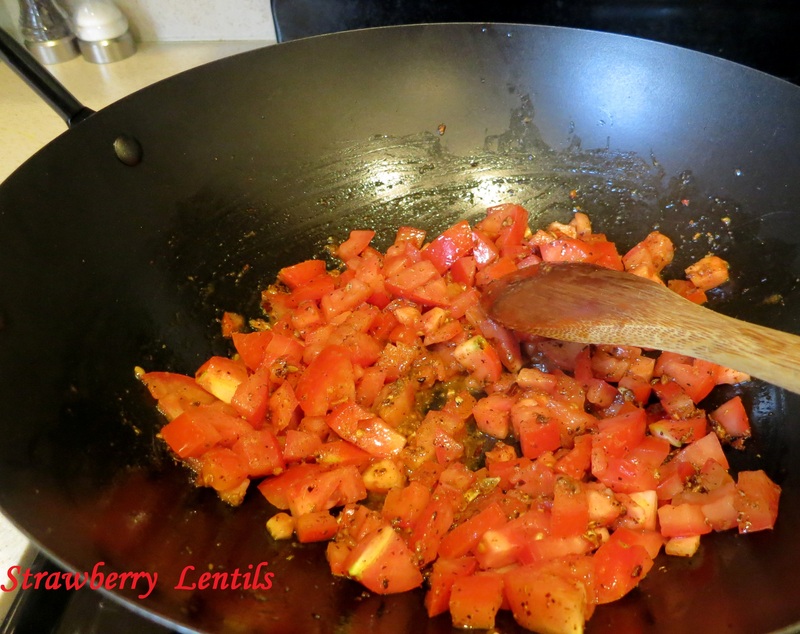 Now add the tomatoes to the oil. 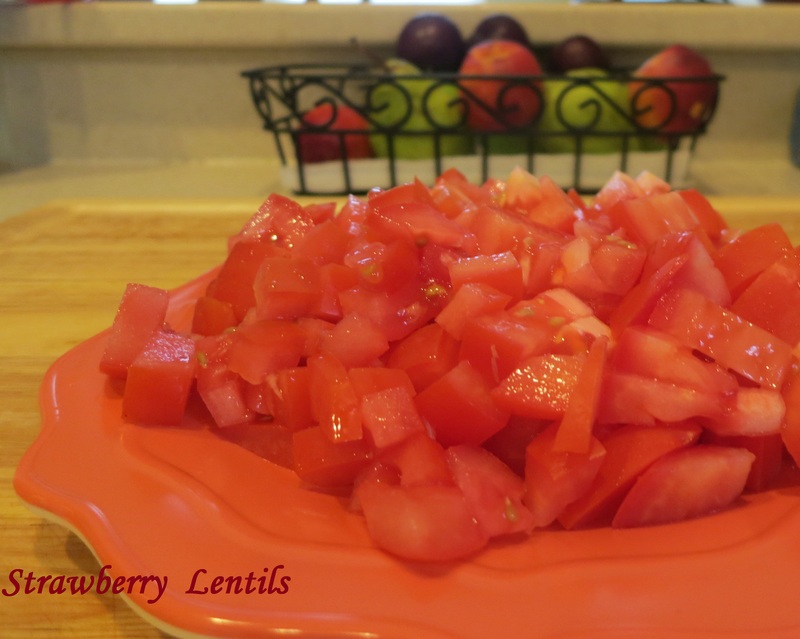 Add salt and cook until the tomatoes sweat and soften. 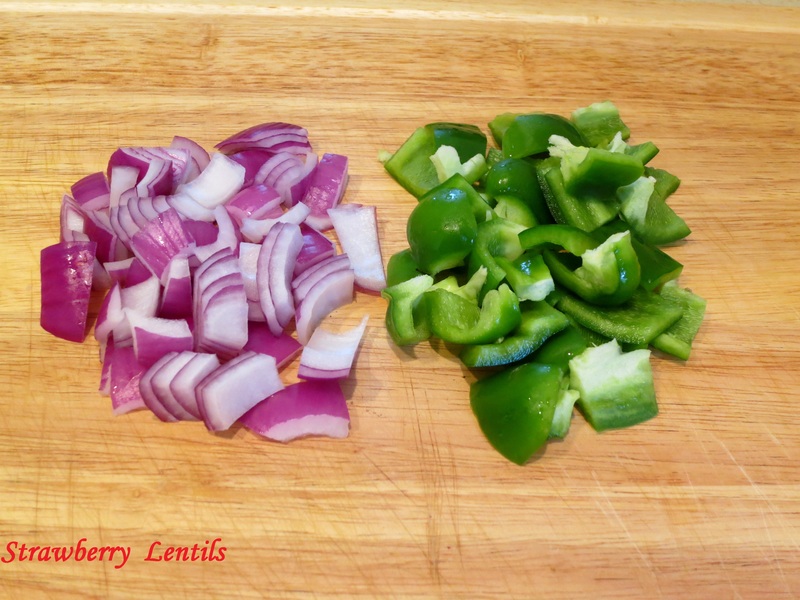 Cut some onions and green peppers into chunks. 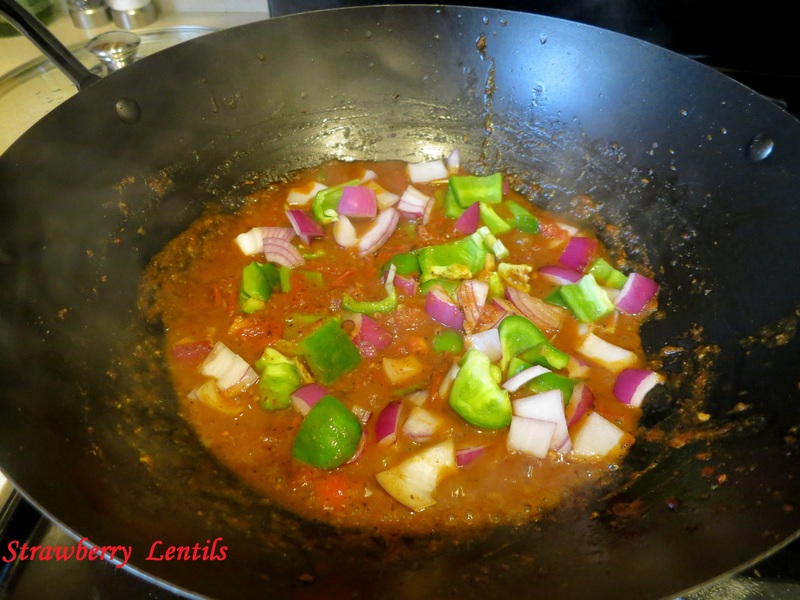 Add the onions and green peppers to the gravy. I know it is counter intuitive to add raw onions to the gravy, but for this recipe it works really well. It is important to have the crunch in the finished gravy. Let the gravy simmer. Meanwhile, we can get the Tofu ready. I am using extra firm Tofu. 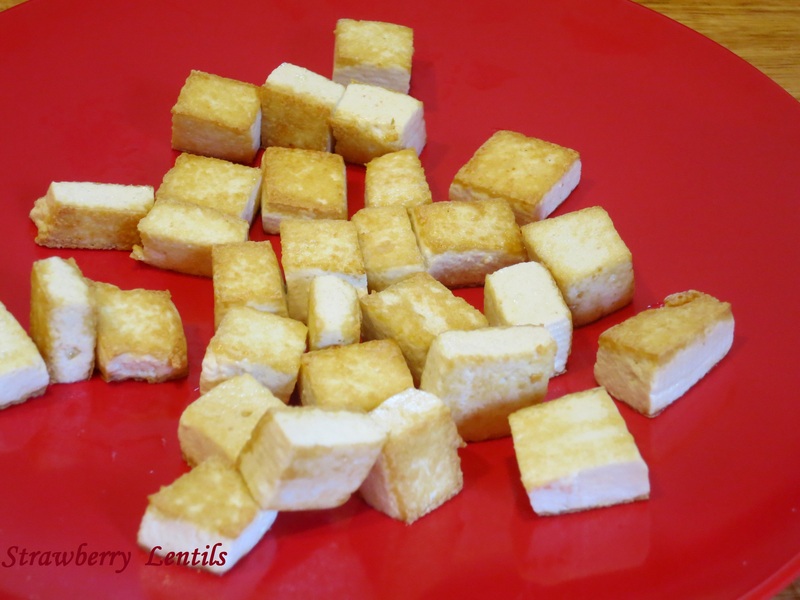 Cut the Tofu in cubes. 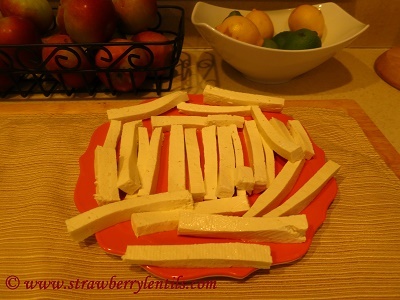 If you are using paneer, frying the paneer is optional. 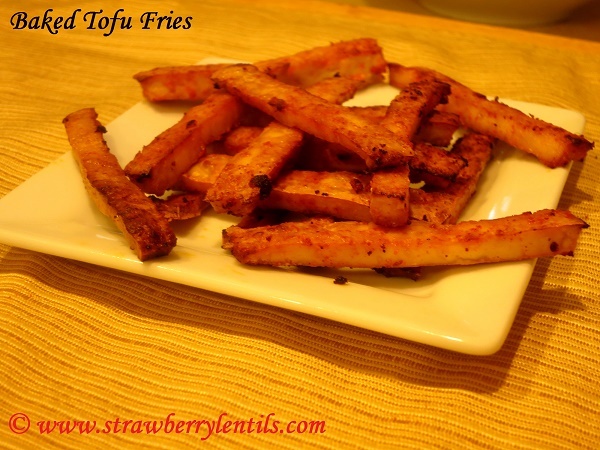 If you are using Tofu, I strongly recommend slightly browning the tofu before adding to the gravy. This can be done with 1 or 2 tsp of oil. By now, the gravy should have reduced. 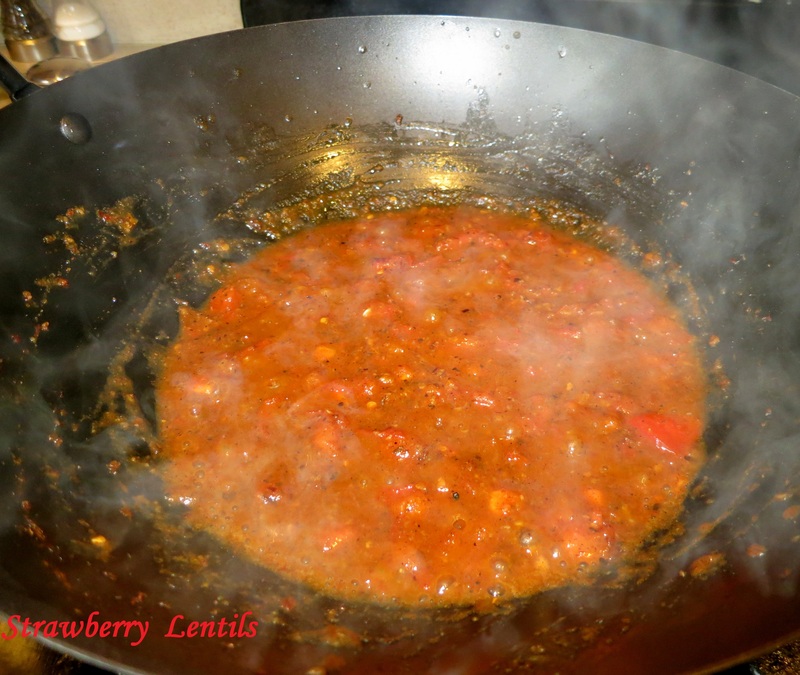 As with all tomato based gravies, as we cook them longer and slower the color becomes rich. 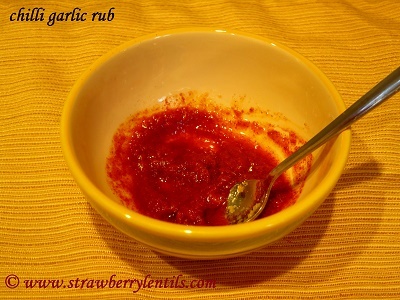 I am making this as a side for rice, so I allowed my gravy to reduce a lot, you can make it as loose as you prefer. Add the tofu to the gravy and mix well. 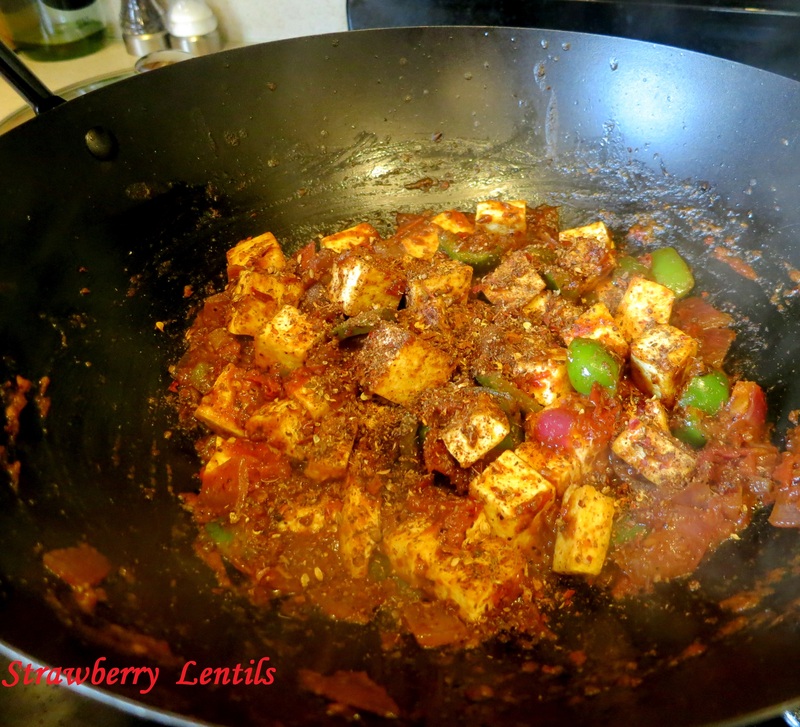 Finally sprinkle the rest of the kadai masala (dry spice blend) and mix with the tofu and the gravy. And the Kadai Tofu is ready. Serve with rice or naan.